This is related to the question Showing arrowheads in line end using QGIS? 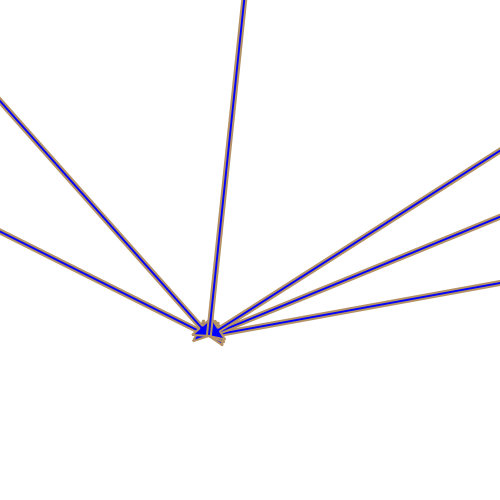 But I wanted to show the arrow head at the mid-point of a line. This is because the arrow heads can be quite crowded when they meet, e.g. at a common junction (as shown below). 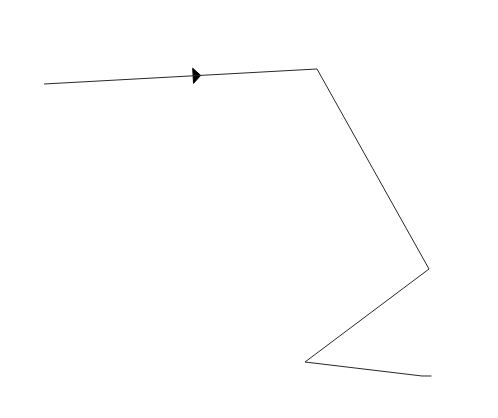 Is there a way to show the arrow head at the midpoint of a line (in general a certain percentage of length in linear referencing)? choose "on first vertex only". Next to "Offset along line" switch to "Map units" and then choose "Edit..." in the corresponding context menu. In the Expression String Builder type $length * 0.2 and then press "Ok". Replace "0.2" by the desired percentage. Showing arrowheads in line end using QGIS? Finding middle point (midpoint) of line in QGIS? How to show line symbol (arrow) independently of line length in ArcGIS? Feature blending showing bounding box?